MANILA, July 25 - The Department of National Defense (DND) will focus on degrading the capabilities of internal armed threats under the Philippine Defense Transformation Road (PDTR) 2028 program. DND Secretary Delfin Lorenzana during Management Association of the Philippines' security briefing held at the Makati Shangri-la Tuesday, the move was to promote an ideal climate for business in the country. "Under the PDTR 2028, to maintain the State’s security and stability, DND assures that capabilities of Internal Armed Threats will be reduced to Insignificant level that they can no longer endanger the stability of the state, and civil authorities can ensure the safety and well-being of the people. We likewise assist in creating an enabling environment to develop and cultivate the allegiance of the citizenry," he added. 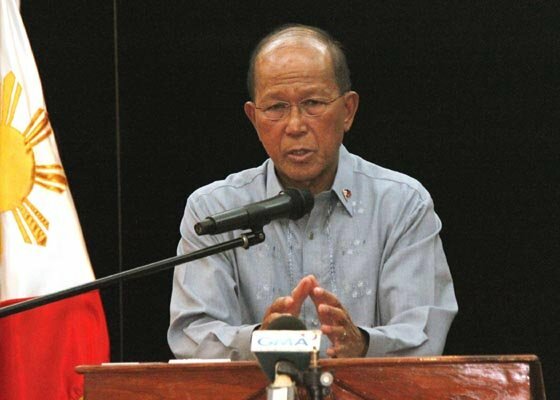 And to achieve national peace, Lorenzana said the DND is currently upgrading the level of safety and security through the reduction of domestic conflict and by supporting law enforcement and civilian agencies. He added that these security plans were all under the Duterte administration development thrusts, aptly called, "Ambisyon Natin 2040." It emphasizes the centrality of people in development planning and the aspirations as requisite for the design of government interventions to achieve development outcomes.